I like that you have various experience that triple the reason to indulge in Fire Emblem Fates... but it would've been better as an all in one package. Luckily... you get that option. 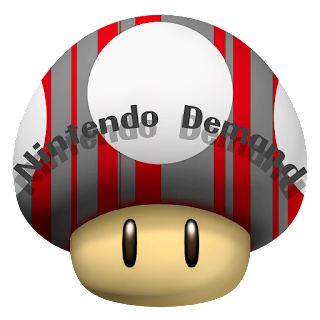 REDMOND, Wash.--(BUSINESS WIRE)-- For the first time in the beloved Fire Emblem series, you can play through different adventures with unique storylines and characters in the Fire Emblem Fates games for the Nintendo 3DS family of systems. 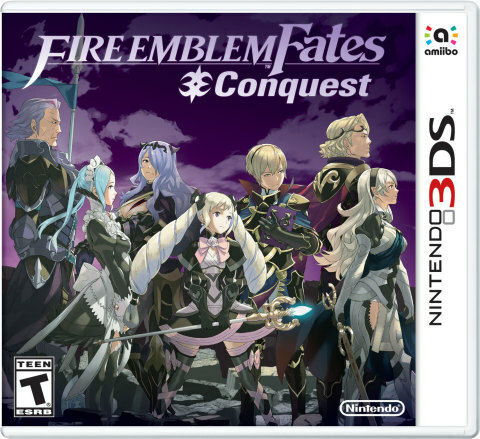 The first two versions, Fire Emblem Fates: Birthright and Fire Emblem Fates: Conquest, launch on Feb. 19. You are faced with a major choice: Do you choose to team up with the birth family you barely know and battle the family that raised you in Birthright? Or do you walk the more challenging path of Conquest and change your misguided kingdom from within? The choice is yours. Let the adventures begin. Fire Emblem Fates is a tactical RPG with a massive cast of memorable characters, an epic story and a deep, yet deceptively simple, battle system. In the game, you play as a princess or prince of Hoshido who was raised by Nohrian royals, forced to make a choice that will change history (and the game itself!) forever. For the first time in the franchise, your customizable female or male avatar is the main character in the game. Battles in the game take place on a series of grid-like maps, which serve as your setting for commanding an army of characters with different specialties. Fans of past Fire Emblem games will be familiar with the famous “weapon triangle,” or the way different weapons are strong or weak against others. A sword will best an axe, an axe will best a spear and so on. This battle system seems simple at first, but adds an immense amount of strategy to each turn on the battlefield. Like previous Fire Emblem games, by playing the game on the default “Classic” difficulty setting, characters that fall in battle are gone … forever. This makes every decision an important one, as favorite characters that you’ve grown to love could be gone in an instant after just one bad decision. You can also choose to play in Casual Mode to have fallen comrades return after each battle’s conclusion, or Phoenix Mode to have lost allies return immediately in the next turn of the battle. To give yourself the best opportunity for success in battle, allies can pair up to receive stat boosts. Pairing up with another character is as easy as standing next to them on the map. In a new feature to the series, landing on special Dragon Vein spaces on the map with Hoshidan and Nohrian royals can also alter the battlefield in dramatic ways … usually to your advantage. One of the most robust new features in all versions of Fire Emblem Fates is an area called My Castle. Here, you can prepare for upcoming battles, interact with allies to build stronger relationships or defend the castle from mysterious invasions. Many facilities of different types can be constructed in your personalized castle, including an Armory to purchase powerful new weapons, an Arena to battle for prizes and even a Private Quarters to meet with and strengthen relationships with your allies. As you progress through the game’s main story, more structures can be built, and existing structures upgraded. Building relationships with fellow characters is one of the most fascinating parts of the Fire Emblem games. In Fire Emblem Fates, this feature continues and is more intriguing than ever before. The higher the support level, the better these allies will battle together. When two characters reach the highest relationship level, they might even get married. New to the Fire Emblem Fates games, you can use Second Seal items to give spouses the same character class. The rich history of the Fire Emblem series meets Fire Emblem Fates by using the Marth, Ike, Robin or Lucina amiibo figures (sold separately). By tapping these figures to a New Nintendo 3DS or New Nintendo 3DS XL system (or to a Nintendo 3DS, Nintendo 3DS XL or Nintendo 2DS system using the Nintendo 3DS NFC Reader/Writer accessory), you’ll receive special items or battle against them for the chance to have them join your party. All versions of Fire Emblem Fates are full games with unique stories offering hours and hours of role-playing game play and unique stories with their own twists and turns. 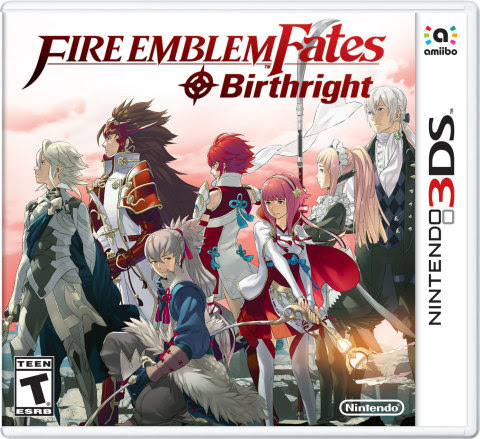 On Feb. 19, Fire Emblem Fates: Birthright and Fire Emblem Fates: Conquest launch in stores, in the Nintendo eShop on Nintendo 3DS or at http://www.nintendo.com/games at a suggested retail price of $39.99 each. Once one version is purchased, the other version can be downloaded from the in-game shop that appears in Chapter 6 for only $19.99, opening up a new adventure to experience. On March 10, a third option,Fire Emblem Fates: Revelation, will launch as downloadable content from the in-game shop within Fire Emblem Fates: Birthright and Fire Emblem Fates: Conquest for only $19.99. Fans that want to play through all three versions can purchase them all separately, or pick up the Fire Emblem Fates Special Edition bundle, which launches at select retail locations on Feb. 19 and includes all three games on a single game card, an artbook and a Nintendo 3DS pouch at a suggested retail price of $79.99. By purchasing the Special Edition, fans can play the Fire Emblem Fates: Revelation game weeks before it launches as downloadable content on March 10. Starting on Feb. 19, further downloadable content in the form of new maps will also be released on a regular basis. You can choose to buy each of these maps individually, or purchase Map Pack 1 for a suggested retail price of $17.99 to get access to all 11 maps plus bonus content as they are released at a discount when compared to buying everything individually.